Tucked away in Fort Wayne’s Historic Northside Neighborhood and located on the second floor of 1412 Delaware Ave, Bookhouse Studio is an intentional blank space. The studio consists of one large open room (~450 sq. feet) a galley kitchen and full bathroom. There are on-going classes offered in the space, but it is also available to book for private gatherings- birthday parties, baby showers, work meetings, etc… The studio is located on the second floor and is accessible only by stairs. 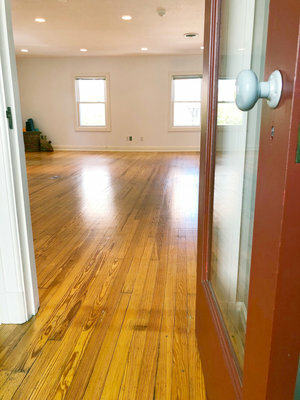 The studio space, Bookhouse, is managed and operated by Living Yoga, LLC.